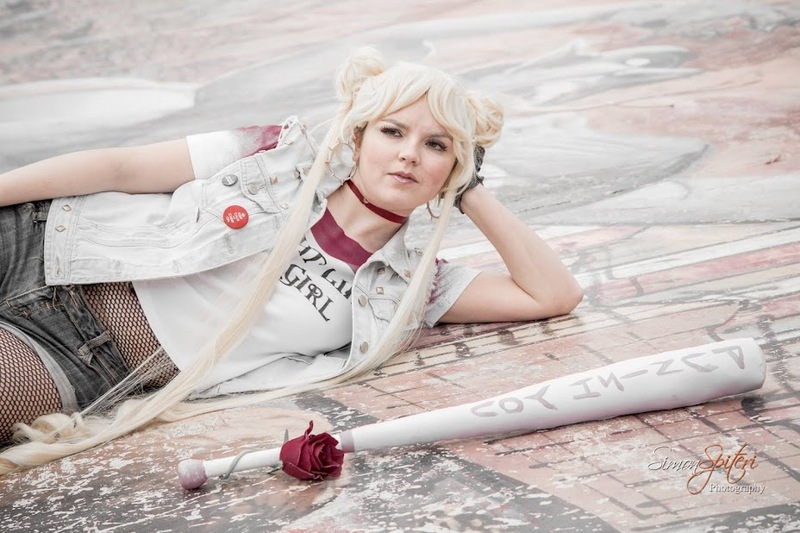 A lot of cosplay related stuff has been going on. My Halloween costume is almost finished, and just needs a zip. 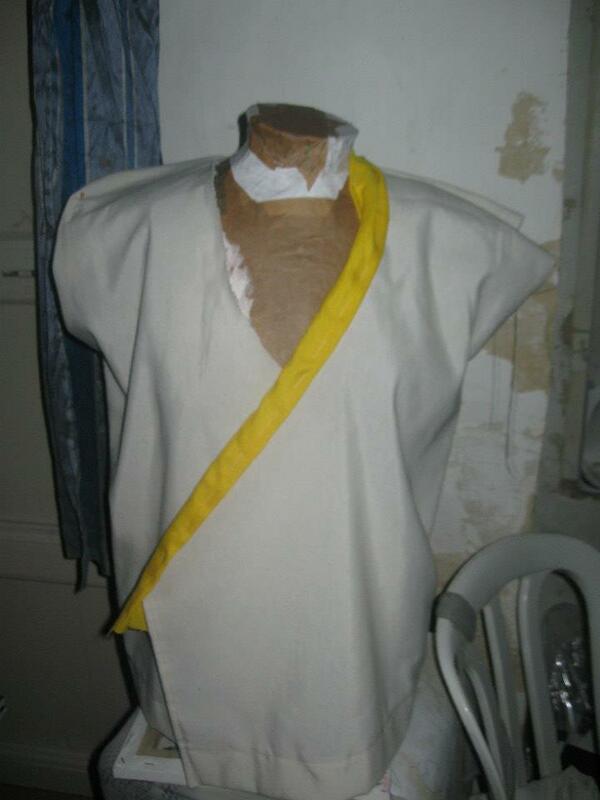 Meanwhile, the costume for our Malta Comic Con group cosplay contest entry is coming together slowly. Found the trim: alas, it was white, so I had to go over it with a Pro marker. It's actually quite a pretty colour. 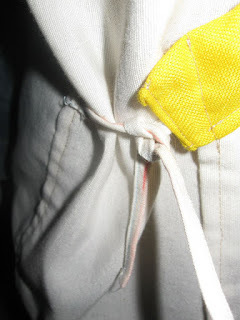 The trim was sewn on with a simple straight stitch (I glued the trim down beforehand). The trim was inexpensive, at 15 c a metre. Here's the mystery costume! The top part is a kimono style top with long sleeves. The sleeves still need to be sewn. We (this is a group project) used this tutorial, created by Taeliac on deviantart. 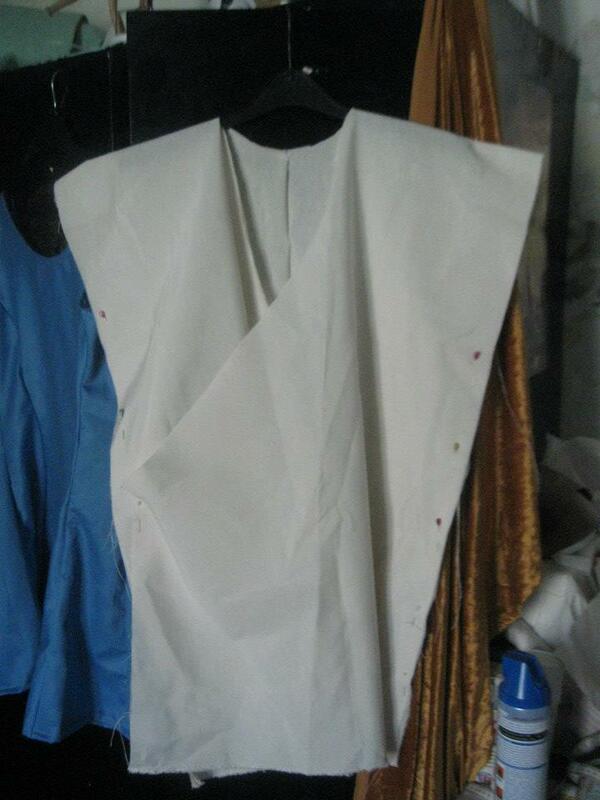 I am so glad we made a paper draft beforehand, because we made a lot of mistakes, and would have wrecked out fabric. The fabric is a loosely woven cotton that we found in the furnishing section (this section is GOLD. Do not underestimate the usefulness of furnishing fabric in cosplay). The yellow material is also loosely woven cotton, picked from the bargain bin. Pinning the collar on was a little difficult, because the kimono base kept wrinkling up. 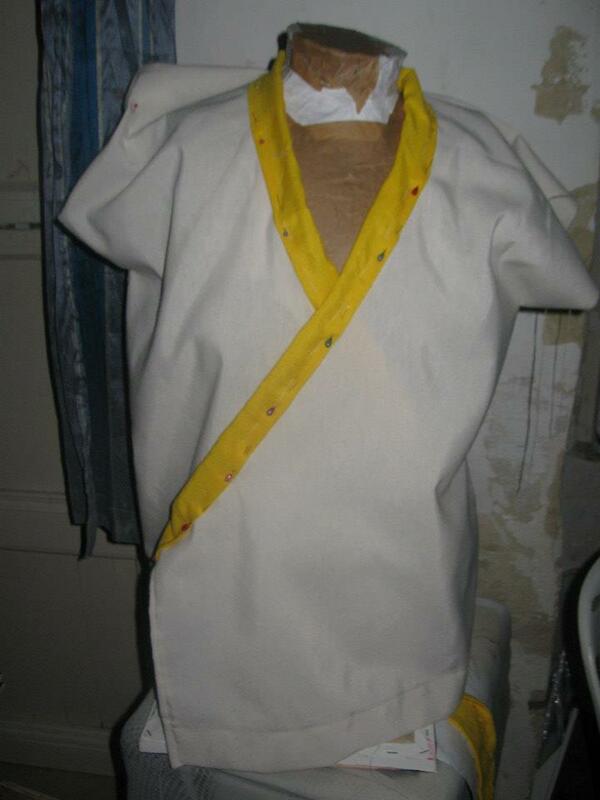 The half completed kimono top, complete with ties. The ties are thin bias strips, folded and sewn to make strings. 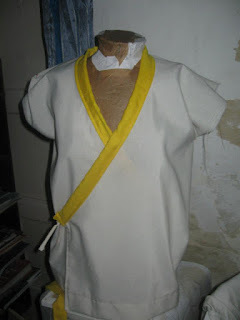 They were attached to each side of the kimono top, inside and out (that's how they're attached in martial arts gi, so I used that for reference).